Thank you for your interest in All About Rabbits Rescue, where it’s all about the rabbits! There are several ways you can get involved with our rescue. Whether you donate, volunteer, foster, or use one of our links when you shop, we’re grateful to have sponsors like you! Donate through PayPal with a one-time contribution, or set up a recurring monthly gift to help even more rabbits! Monetary donations go toward vet bills, food and supplies for our rescues. Don't have a PayPal account and still want to donate online? We also accept donations on Razoo! Your donation will help us care and find home for homeless New Yorker bunnies. If you'd rather donate with cash or check, please email us at allaboutrabbitsrescue@gmail.com to coordinate the donation. We appreciate your help! Members Give Online allows you to make a donation using your American Express® Card or, if you are enrolled in the Membership Rewards® program, you can redeem your points for a donation. Visit www.americanexpress.com/give for more information and to make a donation. We are always in need of puppy pens, dog/baby gates, non-chlorine bleach, white vinegar, toys, newspapers and more! Please write to us to coordinate the donation if you believe you have something we can use! Our rescues eat a healthy diet of hay, pellets, and fresh greens. We're constantly in need of timothy hay, timothy pellets, alfalfa hay, alfalfa pellets, and fresh greens. If you're interested in donating, please email us to coordinate the donation. There is always plenty to do. We can use help transporting rabbits to vets and our adoption events, as well as socializing some of our more shy bunnies. Do you have writing skills, computer skills, or other talents we could use? Email us at allaboutrabbitsrescue@gmail.com! Have you been dreaming or thinking of a pet rabbit, but not sure if a rabbit is the right pet for you? Well here’s an opportunity to try it out. AARR can provide a rabbit for you to foster and by doing so you learn about rabbit care. Queens, Manhattan, and Bergen County, NJ locations preferred. Caution: the buns are really cute and good at the con game. We are sure their cuteness will win you over. AARR may be able to provide partial housing and start up supplies. We ask that our fosters help AARR by contributing daily greens, pellets and hay. Foster homes should be able to make the rabbits accessible either by allowing well screened potential adopters to visit or being able to bring them to an adoption event. 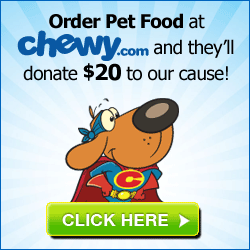 Shop Chewy.com via our unique link, and they’ll donate $20 to us after your first purchase! And if you’re an Amazon shopper, use smile.amazon and select All About Rabbits Rescue as your favorite charity. 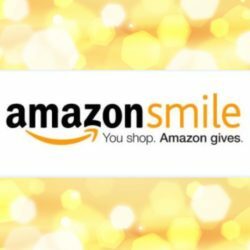 The AmazonSmile Foundation will donate 0.5% of the price of eligible purchases!